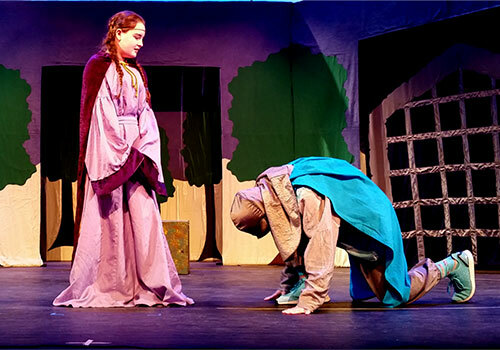 Waterville Opera House collaborates with Missoula Children's Theatre, an internationally recognized touring group, to present sessions of theatre camp during February and summer vacations. This play will be The Snow Queen. Each week concludes with a fully realized performance, with scenery, costumes, and props. Participants will learn about the theatrical process while practicing for the fully realized performance held at the end of the week. For children in grades 1 - 8. Camp runs Monday through Friday from 9:30 am to 4:00 pm. On Saturday, performance day, campers should arrive by 11:00 a.m. The play starts at 2:00 pm. Tickets are $7 for adults, $5 for youth and seniors (prices do not include per ticket handling fees).